On this day in history, 2004, Mark Zuckerberg launched a site called TheFacebook, that eventually became just “Facebook” after the company acquired the domain rights to facebook.com for $200,000 in 2005. The site was originally inspired by a project done by one of Mark Zuckerberg’s high school friends, Adam D’Angelo. D’Angelo had developed a simple social networking site called Buddy Zoo at Caltech that was fairly popular in its short run until D’Angelo shut it down. The popularity of this early social site and the implications of such a service on a large scale was frequently discussed by Zuckerberg and his friends, but they didn’t do anything about creating such a service initially. This all changed when Zuckerberg was reading an article in The Harvard Crimson that mentioned a website he’d created and gotten in a lot of trouble for (FaceMash), including almost being expelled from Harvard. FaceMash was a site that was more or less a Harvard-centric knock-off to Hot or Not. The reason Harvard Administration had a problem with the site was that in order to get it going, Zuckerberg had hacked into Harvard’s student ID picture database in order to get pictures of students at the school in the nine different school dorm houses. He then posted the pictures on his site, separated by dormitory and pitted pictures of people against one another, showing two pictures at a time with people choosing who’s hotter of the two shown. Over 22,000 votes were submitted on FaceMash before it was shut down after just four hours due to people getting offended from having their pictures posted without their consent to be rated. Once the administration got wind of it, they charged Mark with various things such as copyright infringement, violating people’s privacy, and the like. All the charges were eventually dropped and he was allowed to continue attending Harvard. The potential benefits of a comprehensive, campus-wide online facebook are plenty… Thanks to a little bit of ingenuity and lot of illicit hacking, a Harvard sophomore was able to obtain a great majority of the campus’ photos and compile them on one navigable site. This was an invasion of privacy, and HASCS must insure that its facebook is secure. But it is clear that the technology needed to create a centralized website is readily available; the benefits are many. Since then, Facebook has been growing at an astounding rate both in revenue and number of users. In 2006, just two years after its launch, Facebook earned $52 million. The next year, they earned $150 million; then $280 million in 2008; $775 million in 2009; 2 billion in 2010; and, finally, $4.27 billion in 2011. The user growth rate has been equally remarkable, growing to 100 million users in late 2008. From there, the user base skyrocketed, gaining an average of around 100 million users every 160 days up to today, where they are rapidly approaching 1 billion users with their last reported tally on December of 2011 being 845 million members with 483 million daily active people. They also reported well over one trillion page views per month in late 2011. I guess Zuckerberg can check off from his To-Do list the goal to not ever have to get a job. Facebook was not Mark Zuckerberg’s first “big thing” he helped create. In fact, he nearly made his first million while still in High School. At this time, he and Adam D’Angelo decided for a school project to make a program that would monitor what a person likes to listen to, then create playlists for that person, given a variety of factors. Specifically: “It learned your listening patterns by figuring out how much you like each song at a given point and time, and which songs you tend to listen to around each other.” The application they made was in the form of a plugin to WinAmp that was then freely available online. It was eventually featured on Slashdot and soon Zuckerberg and D’Angelo began getting offers from various companies including Microsoft, AOL, and WinAmp for their program for as high as $2 million, even without negotiating. They initially didn’t want to sell it, but once they left for college changed their minds, but at this point it was too late and the companies were no longer interested in their program. This WinAmp plugin was not only significant because it almost made Zuckerberg a millionaire right out of High School, but also because he had originally not intended to study computer science in college, with his interest being more towards a classics program at Harvard. After helping to write this application, he changed his thinking and decided to include studying computer science. If his hacking into Harvard’s ID database and stealing pictures then putting them on a Harvard-centric public site seems to you to have been an incredibly idiotic thing to do (given he was guaranteed to get caught), it should be noted that he was apparently slightly drunk when he thought up the idea and began implementing it: “I need to think of something to occupy my mind. Easy enough—now I just need an idea… I’m a little intoxicated, not gonna lie. So what if it’s not even 10 pm and it’s a Tuesday night? What? The Kirkland [dorm] facebook is open on my desktop and some of these people have pretty horrendous facebook pics. I almost want to put some of these faces next to pictures of farm animals and have people vote on which is more attractive… Yea, it’s on. I’m not exactly sure how the farm animals are going to fit into this whole thing (you can’t really ever be sure with farm animals…), but I like the idea of comparing two people together… Let the hacking begin.” He later stated he never intended it to go public when he first shared it with a few friends; he was just wanting their feedback so he could improve on it. At the time, he well knew the controversy that would ensue if it became popular in its initial state. However, it did become instantly popular and he was forced to shut it down before he could get around some of the privacy problems and copyright concerns. Another early social themed site Zuckerberg made was called CourseMatch, which he made about a year before FaceMash. CourseMatch was intended to allow students to easily find out what classes their friends were taking at Harvard. 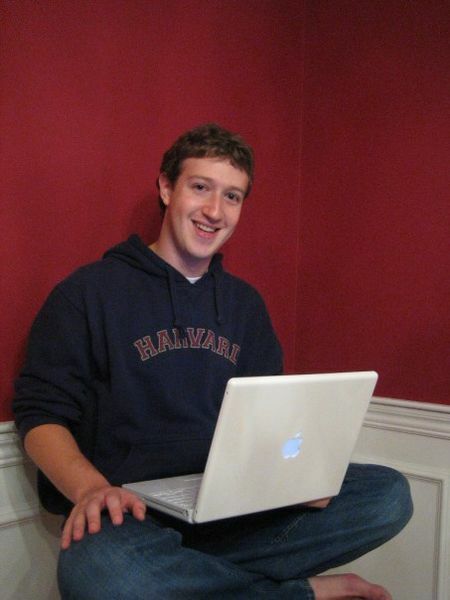 Zuckerberg didn’t just get in trouble for FaceMash at Harvard, but also for something he did in the early days of TheFacebook. Specifically, he examined failed login logs for TheFacebook and then took the incorrect passwords and attempted to login to the user’s official Harvard email accounts, which he was successful on at least twice. The first “major” program Zuckerberg ever wrote as a child was a knock-off version of Risk, based in Ancient Rome with Julius Caesar as the opponent. As mentioned, Sean Parker helped get Facebook its initial funding and was named company president in the summer of 2004. He currently owns about a 4% stake in the company, compared to Zuckerberg’s 24%. In any event, as a teenager, Parker’s main hobby was hacking into various people’s systems. One particularly fateful night, he hacked into a Fortune 500 company’s network only to have his dad unplug his computer before he could logout and cover his tracks. He was soon tracked down by the F.B.I., but because of his young age wasn’t sentenced, other than having to do some community service. Sean Parker chose not to go to college because at the time when he graduated High School, through a variety of projects he’d started while in school, he was already making over $80,000 per year. Many of the projects he not only made money on, but also received high school credit for a “foreign language”, convincing the school to count programming languages as a foreign language and allowing him to do independent study in that area. Parker became involved with Napster thanks to a long time friendship with Shawn Fanning. The two met online when Parker was 15 and Fanning was 14. About five years later, they launched Napster together in 1999, with Parker providing much of the initial funding. His next major project came out just three years later, Plaxo, which was a social networking service that allows people to update their contact information everywhere at once, such as the ability to integrate with Microsoft Outlook, Mozilla’s Thunderbird, Blackberry, etc. Plaxo grew to around 20 million users when it sold to Comcast in 2008. Parker has since help found a variety of other companies and today his net worth is estimated to be a little over $2 billion. He’s currently just 33 years old. In the film The Social Network, Parker was played by Justin Timberlake, who, interestingly enough, just recently purchased MySpace for $35 million in 2010, partnering with Specific Media LLC in the purchase. This is potentially a steal of a deal as even as recent as August of 2011, MySpace received 33.1 million unique U.S. visitors alone and currently is still around the 150th most popular site in the world. However, the steady decline of traffic the last few years, the expensive nature of maintaining it in its current corporate form, as well as the loss of the hype surrounding the company, which Facebook is currently benefiting from in their valuation and MySpace originally benefited from when they sold for over a half a billion in 2005, obviously played a huge role in suppressing the recent sale price, which was a full $70 million less than the originally projected value. As mentioned, Peter Thiel, was one of the other initial investors in Facebook. He also co-founded PayPal with Max Levchin, and Elon Musk (if you don’t know who this is, go here right now and read about him; one of the more amazing entrepreneurs on the planet). Before becoming an entrepreneur Thiel was a chess master (officially, Thiel was one of the highest ranked under-21 players in the United States when he competed as a youth). Interestingly, Thiel was a philosophy major at Stanford. He bucked the trend of philosophy majors who go on to simply think deep thoughts about not having a job and instead started helping found companies. Today, his net worth is officially $1.5 billion, but in fact his Facebook stock alone is estimate to be worth around $1.7 billion, once they go public, which is expected to happen soon. Companies Thiel has been involved in include: LinkedIn, Friendster, Yelp, and PayPal, among many others. Not bad for a chess master/philosophy major who is only 45 years old. Shawn Fanning, arguably the main person behind Napster, originally got his start in the professional programming world thanks to his uncle, John Fanning, who hired him to work in the summers for John Fanning’s internet company, Chess.net. Sean also worked their during Christmas break. During the first Christmas break while he was at College, he and his uncle John completed the initial version of Napster and launched it early the next year with some financial backing from Sean Parker, as stated above. Eventually, after significant legal trouble, they attempted to sell Napster to Bertelsmann for $85 million, but the sale was blocked by a U.S. judge and instead they had to liquidate their assets with Roxio acquiring the company in an auction. Next, Best Buy in 2008 purchased Napster for $121 million and now Napster is owned by Rhapsody when Napster and Rhapsody merged, with Best Buy receiving a stake in Rhapsody as compensation. Fanning’s most successful venture since Napster was a company called Rupture which was a social tool for gamers. It sold about four years ago for $15 million to Electronic Arts.